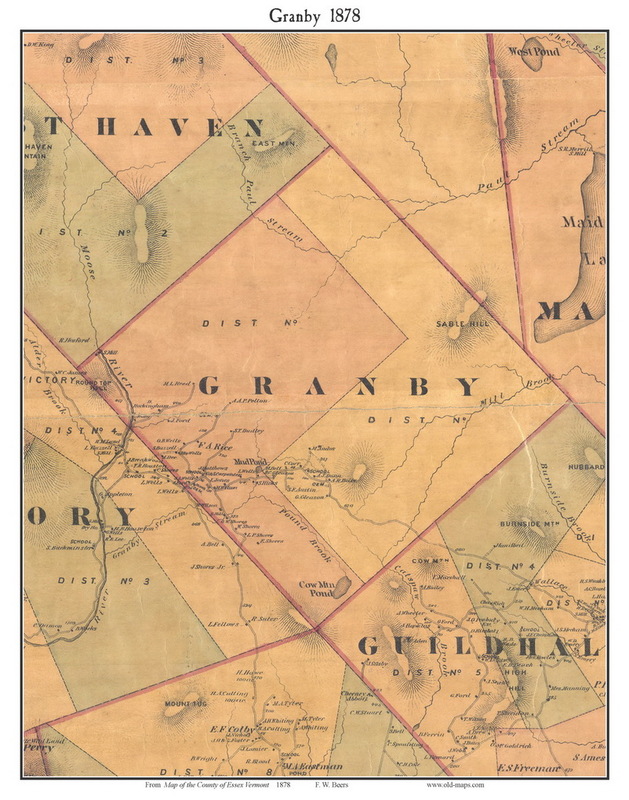 Granby, Vermont 1878 Old Town Map Custom Print - Essex Co.
Click the button below to add the Granby, Vermont 1878 Old Town Map Custom Print - Essex Co. to your wish list. Victory, Vermont 1859 Old Town Map Custom Print - Essex Co.
St. Johnsbury, Vermont 1858 Old Town Map Custom Print - Caledonia Co. Victory, Vermont 1878 Old Town Map Custom Print - Essex Co.
Lunenburg Corners & Sildsbys Mills, Vermont 1878 Old Town Map Custom Print - Essex Co.
Guildhall, Vermont 1878 Old Town Map Custom Print - Essex Co.